Sophia’s Approaches to Studying Religion Pathway helps you gain mastery of thebasic concepts integral to the study of religion and understand how theseconcepts apply in real world situation. In this Pathway, you will explore keycomponents of religions as they apply to a range of different belief systemsand will explore the role of religion in modern society. The Approaches to Studying Religion Pathway provides you access to Sophia’sMany Ways learning model. This model provides you with multiple teachers andvarious instructional styles for each learning objective. With this uniquemodel, you can find a method that appeals to your individual learningpreference. Investigate the Major Approaches to Studying Religion. Identify Common Elements of Religions. Analyze Religion's Impact on Individuals, Society, and the World. 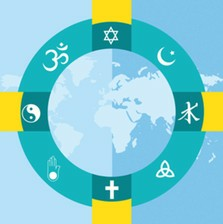 Evaluate Social, Ethnical, and Cultural topics through the lens of religion. A good, unbiased approach to learning why and how we study religion and a good foundation of many different beliefs' basic teaching. Proctor was very helpful during ID verification milestone. Also Learning Coach was very helpful with any questions or concerns that I had during this course. Thank you! !